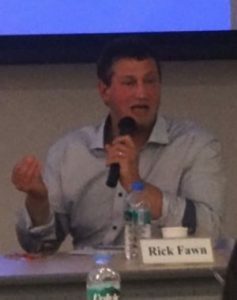 Professor Rick Fawn holds a Chair in International Relations at the University of St Andrews in the United Kingdom. His most recent of twelve books is International Organizations and Internal Conditionality: Making Norms Matter (Palgrave Macmillan, 2013). He has also published dozens of academic journal articles and book chapters concerning IR, comparative regionalism, foreign policy analysis and the politics, security, conflicts and regional and international relations of post-communist countries. He has worked on-ground in numerous capacities across most countries of Central and Eastern Europe and the former Soviet Union. Rick’s work also extends to secondments, invited contributions and briefings to international media, NGOs and national governments and intergovernmental organisations.